Joplin, Mo. 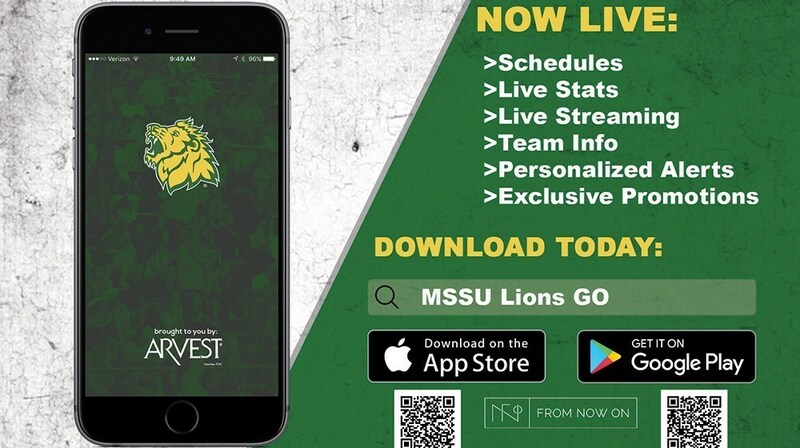 – The Missouri Southern athletic department in conjunction with Arvest Bank have partnered together to release the official game day experience app for Lions Athletics, titled MSSU Lions Go. Missouri Southern is the first school in Division II to partner with From Now On to utilize a game day experience app. Through a generous grant from Arvest Bank, Southern athletics has utilized From Now On to develop the official game day experience app for the Lions. The app is live now in both the Google Play Store and the Apple Store. The app features everything from schedules, live stats, live streaming links for both audio and video, team information for football, as well as men’s and women’s basketball including photos and bios for every player. The app will also feature personalized alerts, detailed maps of athletic venues, exclusive promotions, as well as menus for concession items.